make a deluxe edition graphic novel in hardcover for the first time ever. 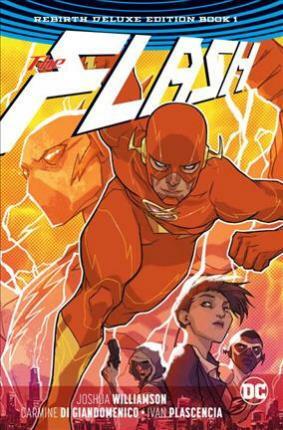 Collects issues #1-12 and THE FLASH: REBIRTH #1. Joshua Williamson lives in Portland, Oregon. His career as a comics writer kicked off the ground in 2007, and since then he has done a number of books for Shadowline, Image, Desperado Publishing, Kick Start and DC Comics. He has written the Uncharted limited series, based on the popular, best-selling video game series Voodoo, and Marvel's Illuminati and Red Skull. He is currently writing THE FLASH for DC Comics.